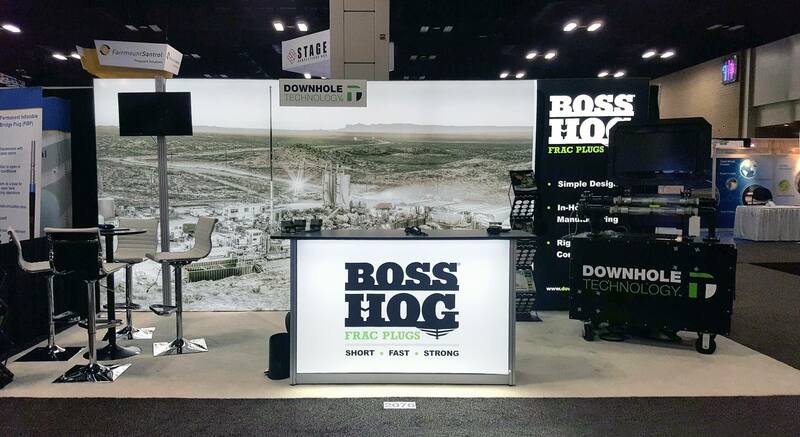 Downhole Technology, Home of the Boss Hog Frac Plug, have had more than 190,000 of their Boss Hog plugs installed in major basins throughout the U.S. and Canada. Downhole Technology previously used a portable, pop-up exhibit at their trade shows and was looking for something more modern and cutting-edge to match their technology. Downhole Technology was accustomed to setting up their booth themselves and wanted something easy to install. Downhole Technology was immediately impressed with the 10 x 20 backlit fabric exhibit they saw at Exhibit Network. They liked it so much they ordered a backlit counter to go with it. Setting up their new exhibit on their own was a breeze, but they later realized their salespeople should probably be spending time with prospects and clients rather than setting up the exhibit. As a result, Downhole Technology now hires Exhibit Network to provide shipping, installation, and dismantle, and everything is taken care of by the time their salespeople arrive at the booth. 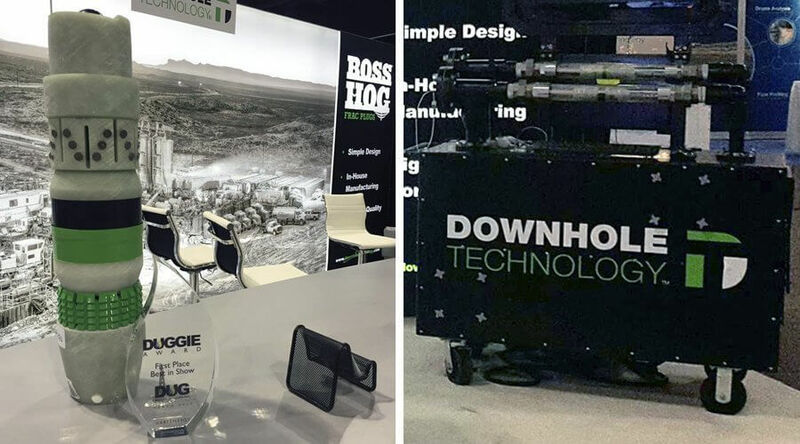 Downhole Technology won a Duggie Award, First Place, Best in Show, at the DUG Bakken and Niobrara Conference in Denver, March 2017.